Gym Ring | Gymnic - Ledraplastic S.p.A. 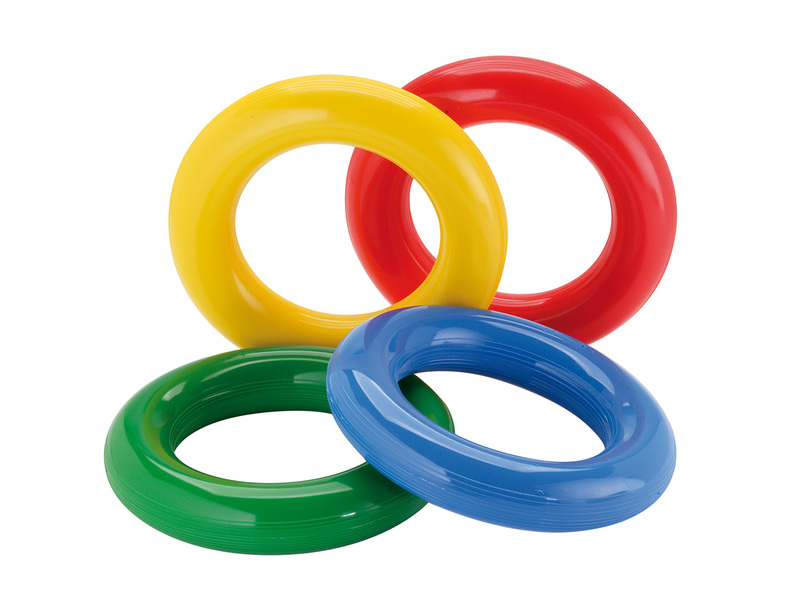 The Gym Ring is a set of four flexible rings supplied in four assorted colours. Great for many different motor- and recreational activities, these rings help children develop prehensile skills, reflexes and coordination. If used in water Gym Ring will float!